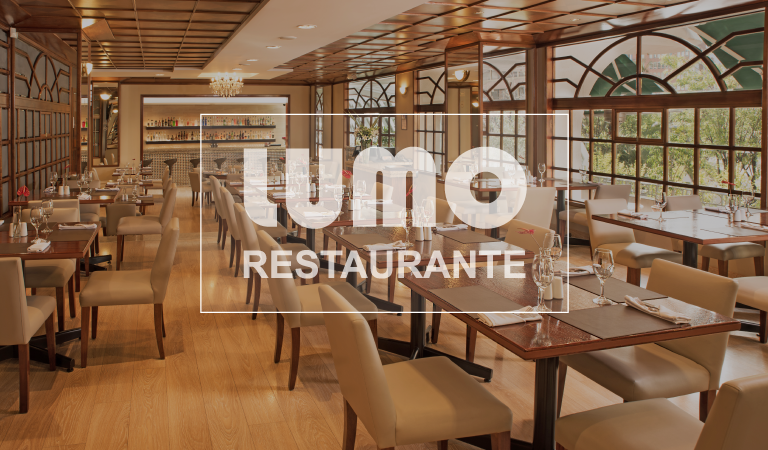 Welcome to Lumo. The newest trendy place in town to bring your friends for a wonderful culinary experience and enjoy some of the finest drinks in the capital. Cuisine: ecuadorian and international with a sophisticated and modern touch. A refined and informal space, with an enviroment suited with avant-garde and relaxed music. Terraza con un aspecto fresco y abierto que brinda un respiro del ajetreo de la gran ciudad.Open terrace which offers a fresh breath of air away from the city´s rush hour. Our bar provides our customers with the best wine and liquor labels from around the world. Selected and well kept in our controlled temperature wine cellar. We are located on the first floor of Hotel Reina Isabel.